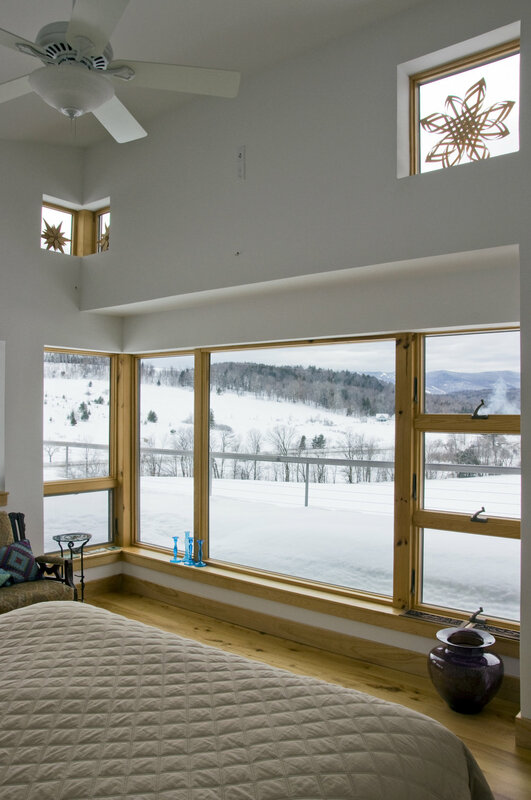 This project was an addition to a 60’s ski house with a butterfly roof. The owners wanted to respect the original house and create better zoning for privacy, parking and gardening on the site. 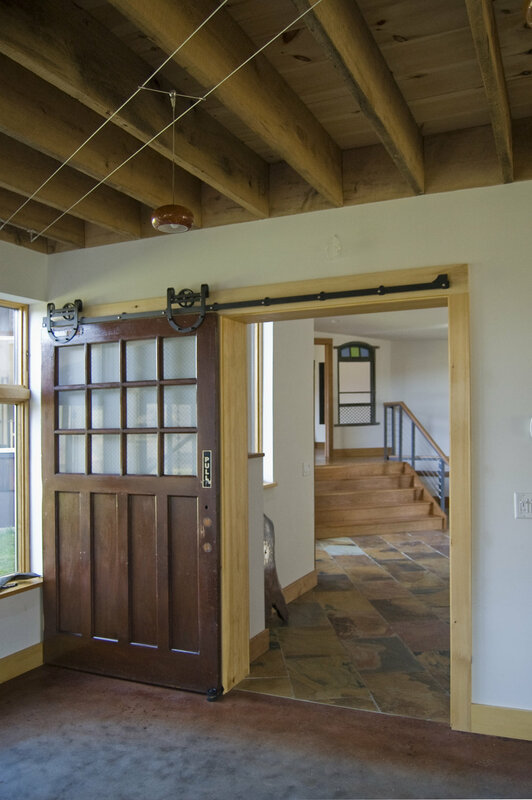 We attached lightly to the existing house with a central connecting mudroom. The new addition screens the backyard from the road and takes advantage of the amazing views in a variety of ways. The lookout at the end of the upper deck provides a “Titanic” experience. This house represented a very fun design process and some experimentation in materials and methods. 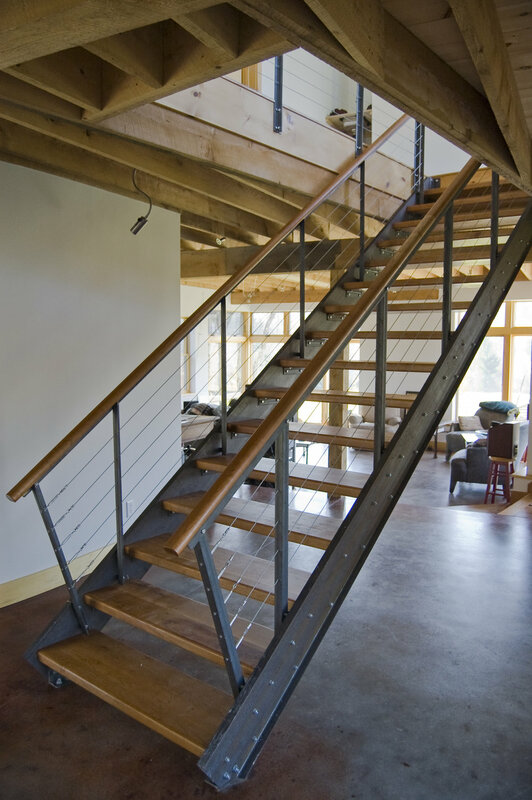 The steel stair design has attracted much attention over the years and is available as a separate stock plan.